GALAXY FIGHT: UNIVERSAL WARRIORS' is a fighting game released by SUNSOFT in 1995. In the world that was destroyed by the destructors of the universe, eight warriors challenge to fight each other 's speculation. In the world that was destroyed by the destructors of the universe, eight warriors challenge to fight each other 's speculation. Please enjoy the world view of SF touch and the fight full of speed. 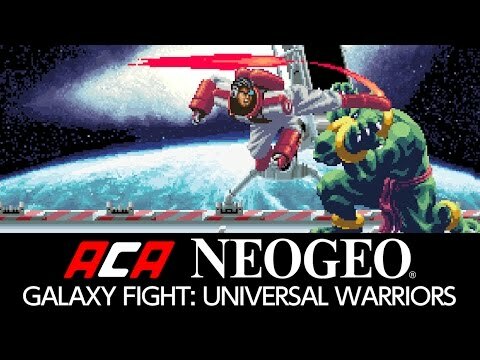 The ACA NEOGEO' series has faithfully reproduced many classic NEOGEO masterpieces. Players can change various game settings such as game difficulty, and also reproduce the atmosphere of arcade display settings at that time. Players can also compete against each other from all over the world with their high scores. ©SUNSOFT Arcade Archives Series Produced by HAMSTER Co.